A new updates Digital Harinezumi 3.0 mini camera has been released this week. Which provides you with an alternative method of capturing creative photographs. The Digital Harinezumi 3.0 is equipped with a 3 megapixel sensor providing 1048 x 1536 resolution images, and the ability to capture video recordings at up to 30fps. Watch the video after the jump to see it in action. Digital Harinezumi 3.0 has been designed to add a wide variety of digital enhancements to your images, such as monochrome, vivid colour, together with a number of different ageing effects. As well as new modes for overexposure effects, as well as extreme noise modes achieved using the aggressive 3.5x digital zoom. 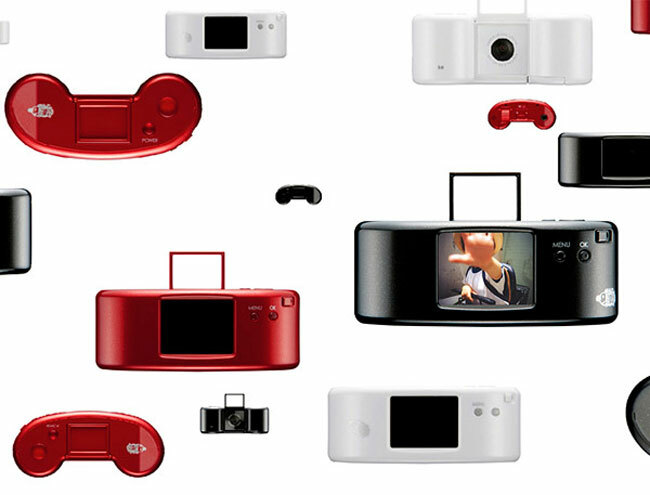 The Digital Harinezumi 3.0 is now available to purchase online from Japan for around $188 or ¥15,750.